An affair can be a huge traumatic loss and betrayal that can overwhelm a couples desire to cope, connect and communicate. Our team has some affair specialists who have years of experience guiding couples through this very common but difficult process. A couple of significant differences we offer is the capacity to typically see you within a 48 hour time frame. If this is a very fresh discovery expect to see us a couple of times a week in the first few weeks. Organising the time off work and or child care is a important and necessary investment in your own mental health. Check out the information below and watch the attached Youtube video with Esther Perel as this will be an important preparation for your work. The short answer is Yes! Maybe . . .
Adultery is a serious relationship breach that causes mistrust, anger, fear, and deep sadness. These feelings of betrayal will take time to heal. Like a bone being broken it is possible for healing to occur – and in fact for the limb/marriage to emerge stronger from the experience. However, there are specific things that must be done for this healing to begin and for trust and healing to occur. 1. Professional Help – Find a specialist relationship counsellor trained in Imago Relationship Therapy or Emotionally Focussed Therapy who has successfully worked with couples to help them recover from an affair. Working with affairs is challenging – find the best help you can access. 2. Time – Expect to spend time in counselling and at home working this through – there is no magic solution – make strategic plans to minimise avoidable time entanglements family social and religious entanglements may need to take a back seat for a while. 3. Money – working less, attending counselling, taking holidays together will have a tangible financial cost – however this cost is a fraction of the cost of separation. 4. Vulnerability – At some level all affairs occur because we could not voice a request for something we needed or desired – this is true for both the affaired on and the affairee. The primary reason for a professional therapist or counsellor is to create a safe environment for this vulnerability to occur. 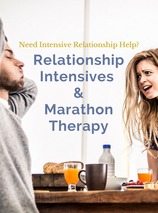 Recovery will take couples and individual therapy, time, patience, developing new skills, understanding, and empathy. It is essential that you both understand the underlying causes of the affair, and each take responsibility for all unmet needs in the relationship. Adultery is a wake-up for the call (a dysfunctional one). If you listen to the call the relationship will become stronger. Our Relationship Rescue service – gives you a longer session with one of our senior counsellors. These are available with Paul, Janine, Deirdre or Steven.